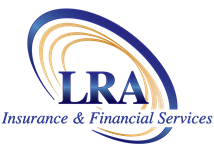 Leon Rousso & Associates Inc. DBA LRA Insurance & Financial Services is a client centric benefit advisory firm that focuses on providing high value solutions and delivering expert guidance. We understand how unique, complex and highly sensitive your situation may be. That’s why we take the time to understand you and your personal circumstances. We pride ourselves in being a valuable resource and offer you solutions to fit your needs rather than sell you products.